Columbia Legal Services (CLS) is a nonprofit law firm that protects and defends the legal and human rights of low-income people. CLS is looking for a Summer Intern to create a report documenting the current state of the law and practice in Washington State regarding legal representation for children and youth in dependency proceedings. This report will be disseminated to stakeholders, including legislators, to help improve Washington’s current status as one of the worst states in the nation on this issue. The internship requires someone with excellent writing skills who can synthesize information from a number of different sources into a cohesive document. The applicant should know how to create high quality reports that use visuals. Some knowledge of the substantive issues involved would be helpful but not necessary. The internship is unpaid, and would run for 8-12 weeks between June 15 and September 15. The intern would work out of the Seattle offices of Columbia Legal Services in Pioneer Square. Please send resume and writing sample to Jill Malat at Jill.malat@columbialegal.org. Applications accepted on a rolling basis. Members of the Federal Defenders team share a commitment to excellence and a passion for justice in representing indigent people accused of a myriad of federal criminal offenses. That team is comprised of attorneys, investigators, administrative personnel, support staff and interns. All of them together combine hard work, constant training and intense dedication in providing service to each of our clients. In addition to direct representation of clients in the federal trial and appellate courts, the organization serves a training and resource function for the local bar and appointed counsel, and in law schools for the education of young men and women who wish to pursue this noble endeavor. Federal Defender Services of Idaho is now accepting applications for a Research and Writing Attorney in the Capital Habeas Unit in Boise, Idaho. The attorney position will be responsible for impact area research and writing projects as well as drafting pleadings, interacting with clients and witnesses, and assisting with development of the record. The Capital Habeas Unit’s caseload is limited to federal habeas corpus cases and collateral proceedings in capital cases. The Capital Habeas Unit provides representation primarily in federal district court, as well as the Ninth Circuit and U.S. Supreme Court. Applications accepted on a rolling basis through June 10. For complete application instructions please click here. This a two-three month legal fellowship position, which needs to be completed by December 2013. The fellowship will focus on legal research and writing, on issues of labor law and international human rights law. The position is based in the Mexico City Office of the Solidarity Center. Prerequisite: fluent Spanish speaker. JD’s, LLMs or graduates welcome. Salary includes monthly stipend and airfare to Mexico. Please send resume and cover letter to Ziona Tanzer ztanzer@solidaritycenter.org. Applications accepted on a rolling basis. The National Center for Youth Law is interested in applicants with a demonstrated commitment to child advocacy and/or poverty law. In particular, candidates for sponsorship should have a keen interest in advocacy for poor and vulnerable children. Founded in 1970, the National Center for Youth Law is a non-profit organization whose mission is to use the law to improve the lives of children and adolescents affected by poverty. NCYL focuses its work in four areas: Safety and protection of abused and neglected children; Health and mental health care; Juvenile Justice; Education for children in foster care. Candidates do not need to have a specific fellowship project in mind. We will work with fellowship candidates to develop appropriate project ideas. NCYL has an excellent track record in receiving Skadden and Equal Justice Works Fellowships. For complete application info click here. Applications accepted on a rolling basis through July 5. Bay Area Legal Aid provides free civil legal assistance to low-income families of the San Francisco Bay Area. 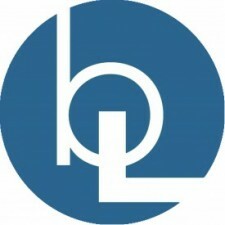 Its mission is to provide high-quality legal service regardless of a client’s disability, language or Bay-Area location. Since 2000, BayLegal has successfully sponsored one Shartsis Friese, one Borchard, seven Equal Justice Works and three Skadden fellowship applications. BayLegal invites law students beginning their third year and recent law school graduates to propose innovative fellowship projects for 2014 for submission to the Skadden Fellowship Foundation, Equal Justice Works, Soros Justice Fellowship Program and/or similar programs. Project ideas should relate to one or more of BayLegal’s substantive practice areas: Domestic Violence Prevention and Immigration Relief, Housing Preservation, Health Care Access, Economic Security, Consumer Assistance. For complete application instructions click here. Applications due on a rolling basis through June 15.